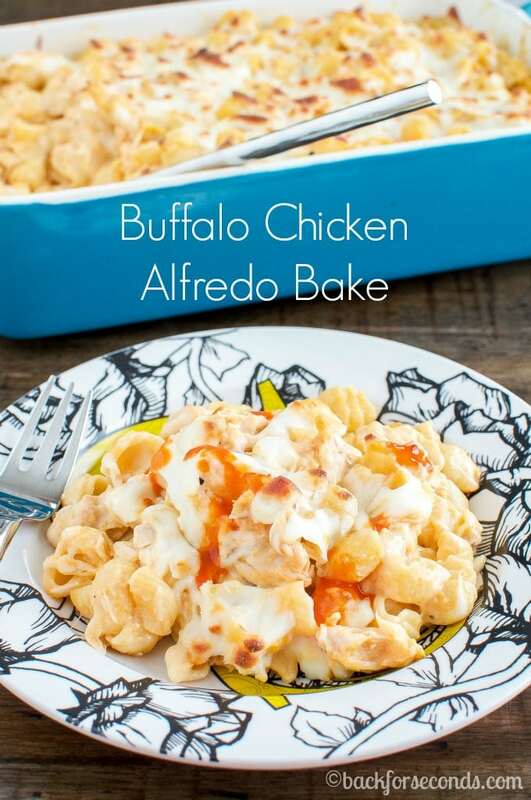 This Buffalo Chicken Alfredo Bake is a quick and easy dinner that everyone will love. 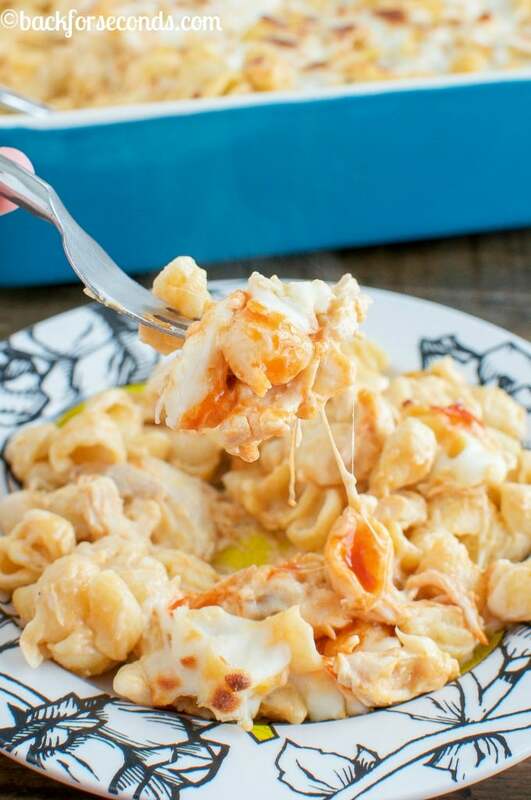 A spicy, cheesy casserole, great for busy weeknights, that is pure comfort food! 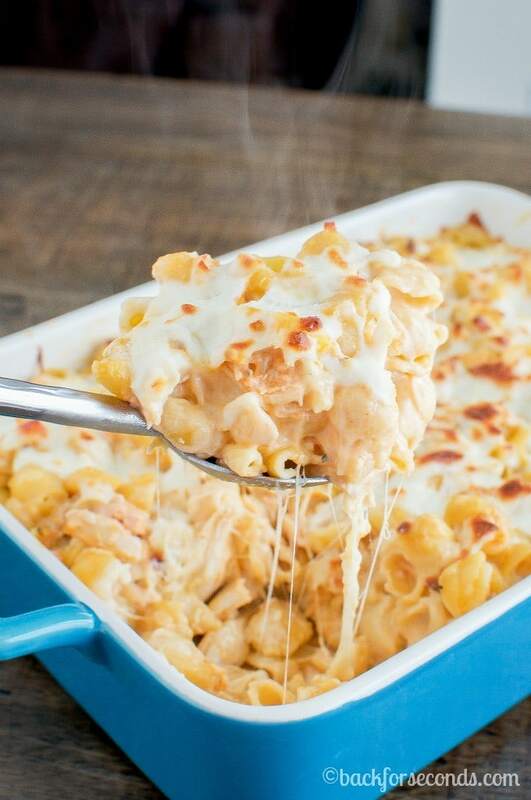 It’s hard to beat a creamy, cheesy casserole on a cold night. Apparently the rest of the world agrees since this collection of casserole recipes I compiled has gone completely viral with over 7 million of you already checking it out and loving it! Today I am so thrilled to share this pasta bake with you. 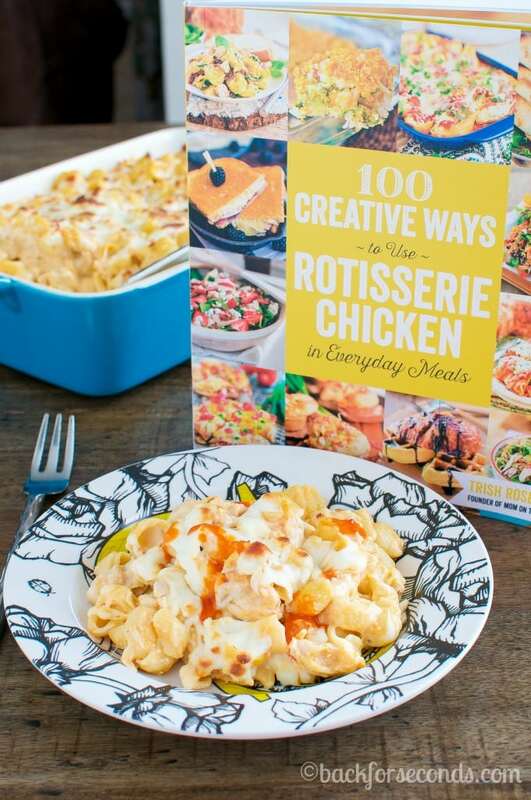 Not only is is crazy delicious, but it is from the new cookbook by my friend Trish Rosenquist (of Mom on Timeout) called 100 Creative Ways to Use Rotisserie Chicken in Everyday Meals. You all need this book – trust me! This book is loaded with delicious recipes that will please even the pickiest eaters, and the recipes are all pretty simple to make! 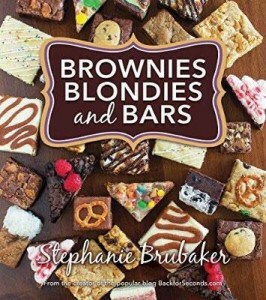 If you ever cook dinner – this book is for you! 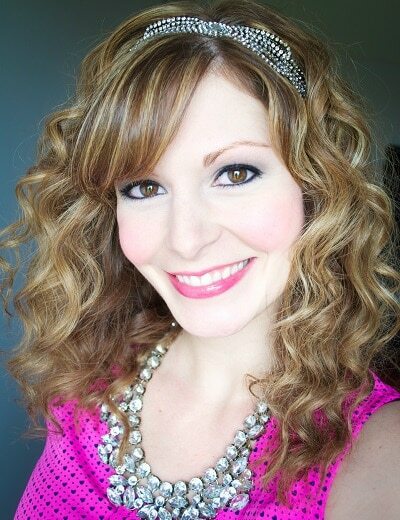 I mean just look at this casserole…. You can use as much or as little wing sauce as you like, depending on how hot you like things. I only added a little to the whole pan because my kids don’t like much spice, but then I added extra to my own plate. The combination of alfredo and wing sauce is soooooo good you guys! 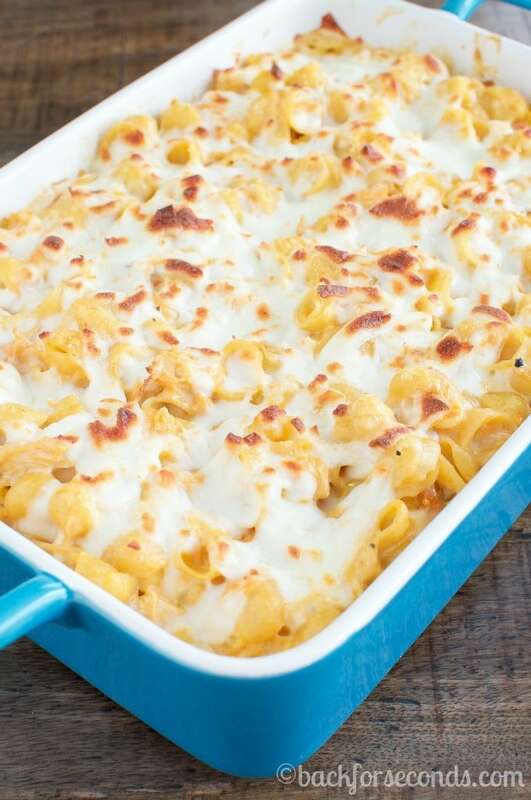 This is one of those comforting, cheesy casseroles that you will make over and over again. Enjoy!